David J. Loehr, Tony Sindelar, and Jason Snell join Scott to discuss “Star Trek IV: The Voyage Home. That’s right, our first movie and it is a good one! You know the one, with the whales and the time travel and the colorful metaphors. 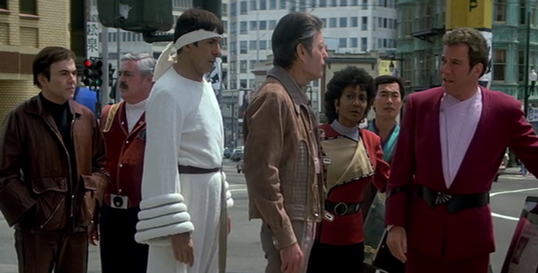 Topics discussed include movies that start with the characters watching the previous movie, the shocking overlap between Vulcan and elven fashions, and why doesn’t Sulu do anything in this movie? Next on Random Trek: The Omega Glory (TOS S2E25).